Researchers at the University of Tokyo have successfully integrated living muscular tissues in robots, which could prove a breakthrough and herald even terminator-like robots moving among us. 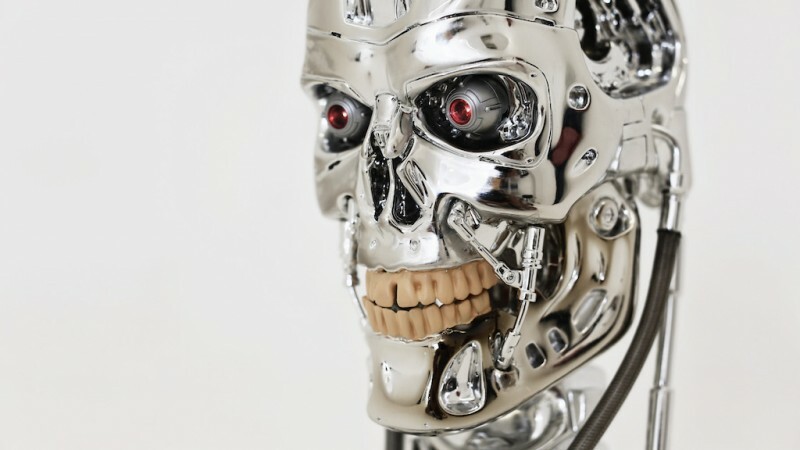 James Cameron's wild futuristic fantasies which he depicted in the movie 'The Terminator' in 1984 is slowly becoming a reality, as scientists at the University of Tokyo have managed to integrate living muscular tissue in robots. Interestingly, the implanted muscular tissues presented remarkable movements for more than a week. During the study, the research team initially built a robot skeleton with rotating joints, anchors where muscles could be attached, and electrodes which will act as a stimulus to induce muscle contraction. Instead of using muscles from a live human body, the team of researchers built a kind of artificial muscle from scratch. To create this artificial muscle, these Japanese scientists used hydrogel sheets containing muscle precursor cells called myoblasts, and later, they integrated these muscular tissues into the robot's body. Interestingly, the robot joints integrated with living muscular tissues could perform various tasks well, and this clearly indicates that this technology may gain popularity in the world of robotics in the future. "Our findings show that using this antagonistic disposition of muscles, these robots can mimic the actions of a human finger. If we can combine more of these muscles into a single device, we should be able to reproduce the complex muscle interaction that allows the hands, arms and other parts of the body to work," said Yuya Morimoto, lead researcher of this study in a statement. As the news of muscle integration in robots surfaced online, conspiracy theorists started claiming that humans are getting closer to that future which will be dominated by machines, more than humans. A video about this new development was uploaded by conspiracy theory YouTube channel 'UFOmania', and viewers were quick to share their views about this breakthrough achievement. "We are creating the "children born without souls" as mentioned in the Bible, right now. Clones, AI, robots with living tissues etc," commented Theresa Angelina, a YouTube user. SharinganDomain Incognito, another YouTube user wished 'Rest In Peace' to the human race. Is Elon Musk's bad dream coming true? SpaceX founder Elon Musk is one of the strongest critics of the advent of artificial intelligence and robotics. Elon Musk has several times stated that robots powered by artificial intelligence could pose a severe threat to humans in the future. As per Musk, the advent of artificial intelligence is more dangerous than the nukes possessed by North Korea, and he has even urged authorities to frame strict regulations for using AI.